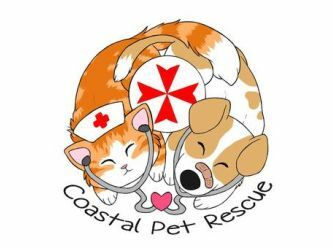 Coastal Pet Rescue is a privately funded NSW based rescue. 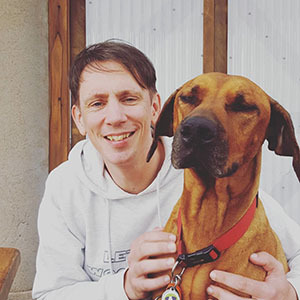 We are made up of a network of foster carers who care for a small number of animals in a family-home environment while the animal awaits its forever home. We are passionate about saving the lives of unwanted animals who find themselves stuck behind bars at one of our many high-kill pounds. Active in our local community, we try to stop the cycle by aiding families with low-cost desexing opportunities. 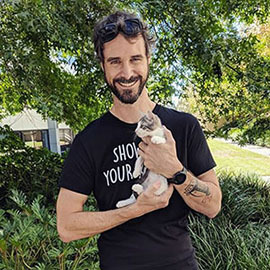 Our mission statement is; “To give unwanted animals a second chance at life by helping them rebuild their lives, one woof or purr at a time.” This is something that we're actively living and breathing while educating members of the public about responsible pet ownership and the need to desex their pets. A gorgeous boy with personality galore. He'll happily have a chat with you! Good with other cats, living with dogs. Doesn't mind them as long as they're not constantly in his face. Skin is healing and fur growing back. Indoor only home! A pretty little thing with round owl-like eyes is waiting for her forever family to come and find her! This affectionate, gorgeous and one-of-a kind little lady will surely be a great addition to her new house-hold where she'll want to take center stage receving all of the attention. Arwen is a playful and independent young cat who likes to chase her toy mice around and carry them in her mouth, however, she is also independent enough to be left at home all day while you're gone. She would be the great companion for a working person as she will surely love the quiet time sleeping all day and enjoy the attention when you return home! Arwen is a clean girl who is fantastic with her litter box. She enjoys being brushed and will purr away. Arwen likes to use her scratching posts to scratch on and sleep in so her new home will ideally have one that she can climb! 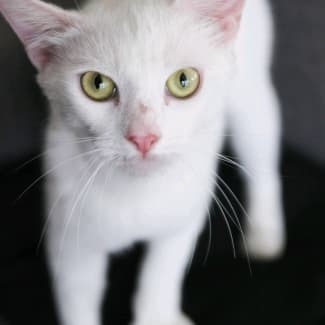 She is a healthy young cat who is ready now for her forever home. 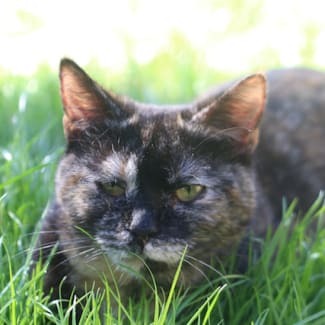 Arwen is currently living in foster care with two other cats and has been tested with dogs too - big and small - and would suit a family with or without other pets. Arwen is microchipped, desexed, vaccinated and vet checked. She is up to date with her flea and worm treatments too. Arwen broke her leg when she was 14 weeks of age and has had x-rays confirming it has healed sufficiently. An indoor only home is preferred as she does have a slight limp.